"In the spirit of fully embracing the smartly laid-back look of warmer weather, we’re adding a polo shirt knitted with linen to our range. Why? 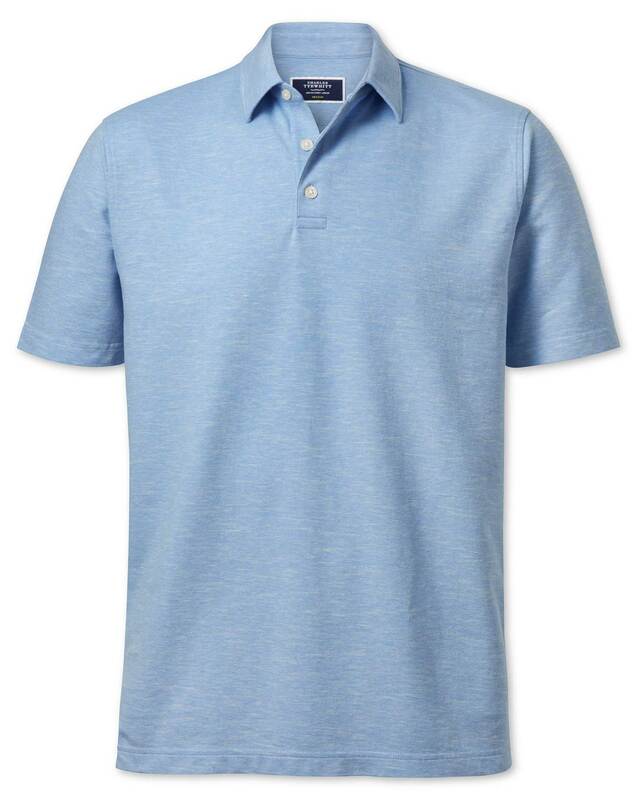 Well, to help you enjoy the ultra-smart texture of linen while wearing one of the most comfortable pieces in a man’s wardrobe: the jersey polo." "Classic polo made from a cotton and linen-blend jersey for a textural look, unmatched comfort and reduced creasing." Quality garment with good deep colour and fit.